R. Alta Charo is the Warren P. Knowles Professor of Law and Bioethics at the University of Wisconsin at Madison. In the past, she also has served on the faculty of the UW Masters in Biotechnology Studies program and the Dept. of Medical History and Bioethics at the School of Medicine & Public Health. Alta Charo (B.A. biology, Harvard 1979; J.D. Columbia, 1982) is an elected member (2004) of the World Technology Network and (2005) the Wisconsin Academy of Sciences, Arts and Letters. And in 2006 she was elected to membership in the National Academies' Institute of Medicine (IOM) (now known as the National Academy of Medicine). In 2013 she was awarded the Adam Yarmolinsky Medal for her service to the IOM. Professor Charo served on President Obama's transition team, where she was a member of the HHS review team, focusing her attention particularly on transition issues related to NIH, FDA, bioethics, stem cell policy, and women's reproductive health. She was on leave 2009-2011 to serve as a senior policy advisor on emerging technology issues in the Office of the Commissioner at the US Food & Drug Administration. Professor Charo offers courses on public health law, bioethics, biotechnology law, food & drug law, reproductive rights, stem cell policy, torts, and legislative drafting. 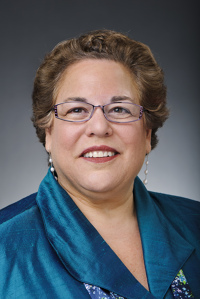 In addition, she has served on the UW Hospital clinical ethics committee, the University's Institutional Review Board for the protection of human subjects in medical research, and the University's Bioethics Advisory Committee. She has been a visiting lecturer at law and medical schools in Argentina, Australia, Canada, China, Cuba, France, Germany, and New Zealand. In 2006, she was a visiting professor of law at the University of California -- Berkeley, School of Law (Boalt Hall). Prior to her arrival at UW in 1989, Professor Charo served as Associate Director of the Legislative Drafting Research Fund of Columbia University (1982-1985); Fulbright Junior Lecturer in American Law at the Sorbonne in Paris (1985-1986); legal analyst for the Biological Applications Program of the congressional Office of Technology Assessment (1986-88); and American Association for the Advancement of Science Diplomacy Fellow for the Policy Development Division of the Office of Population at the U.S. Agency for International Development. Professor Charo has authored or contributed to over 100 articles, book chapters and government reports on law and policy related to environmental protection, reproductive health, new reproductive technologies, medical genetics, stem cell research, science funding, and research ethics. She has served as a member of the boards of the Alan Guttmacher Institute and the Foundation for Genetic Medicine, the National Medical Advisory Committee of the Planned Parenthood Federation of America, and the program board of amfAR, the Foundation for AIDS Research. She has also been on the boards of the Society for the Advancement of Women's Health and the former American Association of Bioethics, as well as the ethics advisory board of the Howard Hughes Medical Institute. In addition, she has served as a consultant to the National Academy of Science's Institute of Medicine and the former NIH Office of Protection from Research Risks. Charo has also served on several expert advisory boards of organizations with an interest in stem cell research, including CuresNow, the Juvenile Diabetes Research Foundation, the International Society for Stem Cell Research and WiCell, as well as on the advisory board to the Wisconsin Stem Cell Research Program. From 2005-2009 she was a member of the ethics standards working group of the California Institute for Regenerative Medicine. Also in 2005, she helped to draft the National Academies' Guidelines for Embryonic Stem Cell Research, and in 2006 she was appointed to co-chair the National Academies' Human Embryonic Stem Cell Research Advisory Committee. Later she chaired a workshop on the growing problem of misleading advertising and patient endangerment by unscrupulous clinics purporting to offer stem cell therapy. Charo's advisory committee service for the federal government includes the 1994 NIH Human Embryo Research Panel, and (1996-2001) President Clinton's National Bioethics Advisory Commission where she participated in drafting its reports on "Cloning Human Beings"(1997); "Research Involving Persons with Mental Disorders that May Affect Decisionmaking Capacity"(1998); "Research Involving Human Biological Materials: Ethical Issues and Policy Guidance"(1999); "Ethical Issues in Human Stem Cell Research"(1999); "Ethical and Policy Issues in International Research: Clinical Trials in Developing Countries" (2001); and "Ethical and Policy Issues in Research Involving Human Participants" (2001). At the National Academies, Professor Charo is a member of the IOM Council, the Board on Health Sciences Policy, and the Committee on Science, Technology and Law. From 2001-2008 she was a member of the Board on Life Sciences. She served as its liaison to the Committee on Research Standards and Practices to Prevent Destructive Applications of Biotechnology and co-chaired its committee to develop national voluntary guidelines for stem cell research. She also served from 2006 to 2013 as a member of the Institute of Medicine's Board on Population Health and Public Health Practice as well as its Committee on Smallpox Vaccination Program Implementation and its committee to review the FDA and the U.S. national system for the assurance of drug safety. Professor Charo also has completed service as a member of a working group of the NIH Council of Councils, reviewing the use of chimpanzees in NIH-funded research, an IOM committee reviewing the current pediatric vaccine schedule, an NAS committee updating the code of responsible conduct of science, an IOM committee on the use of mitochondrial replacement techniques, and on the advisory council for the NIH National Center for the Advancement of Translational Sciences. From 2015 - 2017 she was a member of the National Academies' Human Gene Editing Initiative and co-chaired its committee charged with making recommendations on the use of gene-editing for both somatic and germline (heritable) changes in humans. She also co-chairs an NAS/NAM Forum on Regenerative Medicine, and serves on the Program Board of the Greenwall Foundation and was a witness for the congressional panel looking at the practice of fetal tissue research. Ms. Charo was born in Brooklyn, NY. She is fond of poker, foreign language study, cats, home renovation, Harry Potter books, old movies, roller coasters, salsa music, Jane Austen novels and Star Trek.